SALE PRICED!!! ***RUST FREE SOUTHERN TRUCK, 4WD!!! *** We are pleased to offer this clean 2011 GMC Sierra 1500 SLE Crew Cab with the excellent 5.3 Liter V8 engine. 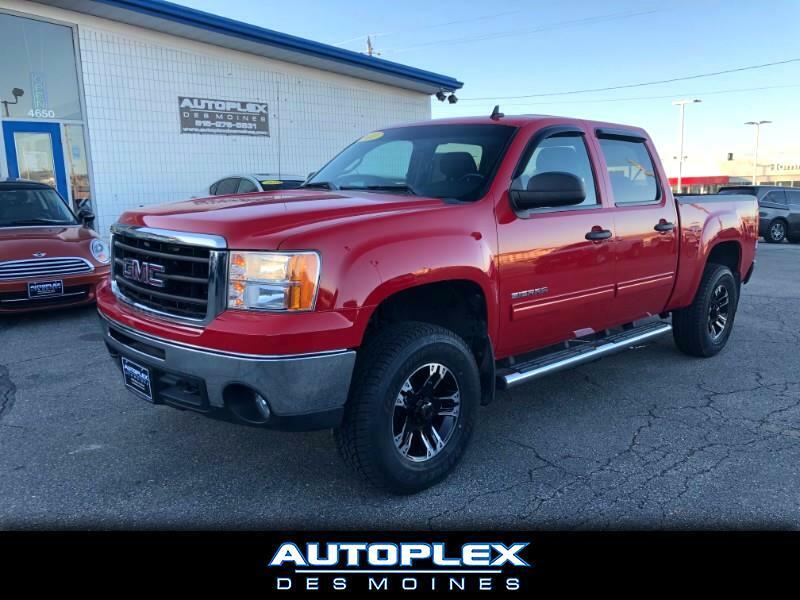 This Sierra is loaded with Power windows, Power locks, Power mirrors, Power driver seat, AM/FM/CD player with Aux audio input, Power adjustable pedals, Running boards, Spray in bed liner, Cruise control, Steering wheel mounted controls, Keyless entry with factory remote start and MORE! Stop in today for a test drive!!! We offer convenient and competitive Bank and Credit Union financing for most credit types to save you both time and money. Come experience the Autoplex Des Moines Difference Today!